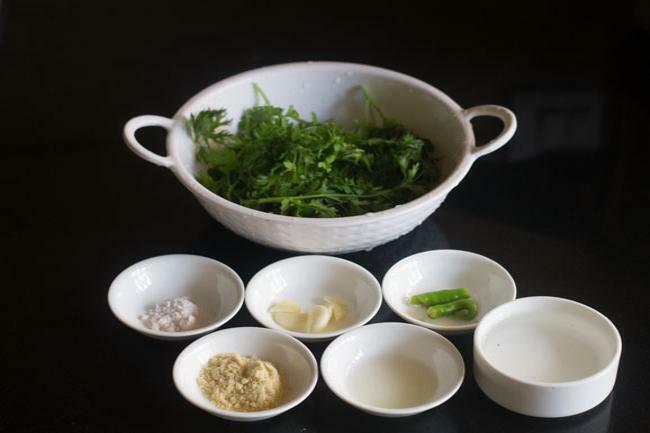 mildly sweet and lightly tangy green chutney made from coriander and mint. 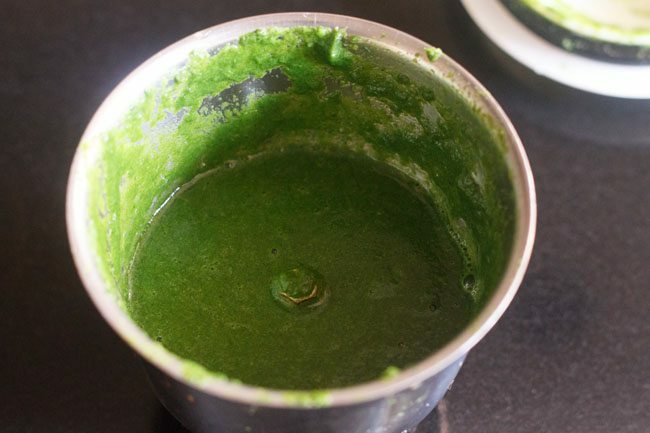 sweet and tangy green chutney recipe with step by step photos. 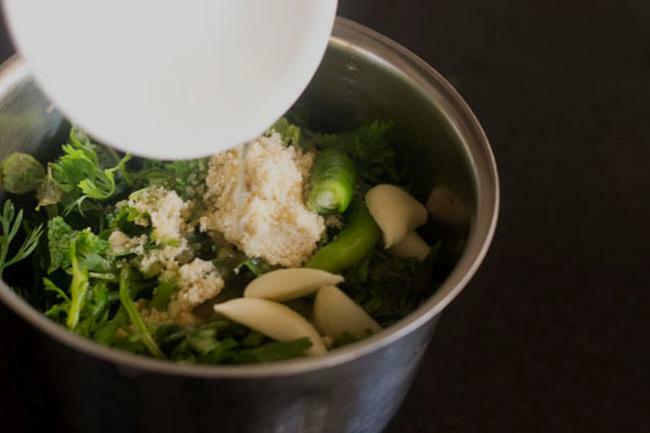 there are various ways of making green chutney. 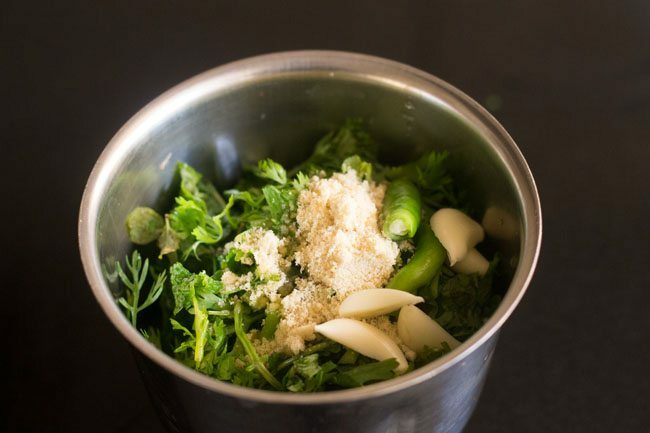 i have seen this green chutney recipe in a book and what i liked was sugar in this chutney. i had to try this chutney. i adapted the recipe to our own tastes. 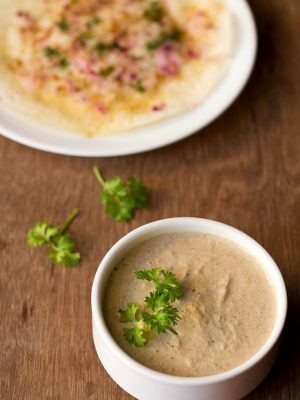 i have made this chutney to go with the aloo tikki burger. this green chutney had the flavors of mint and coriander as well as the tang from lemon juice with a sweet taste due to the sugar. the lemon juice helps to preserve the chutney and this green chutney has a shelf life for 4-5 days if stored in refrigerator. since the chutney is sweet it makes for a good spread on sandwiches while making for kids. you can reduce the green chili completely or use half of a green chili, if making for kids. 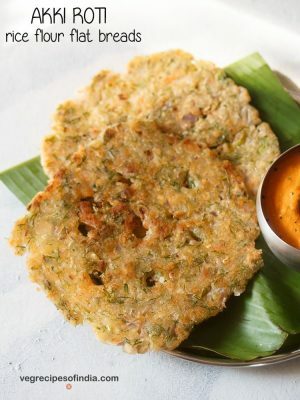 you can also serve this tangy sweet green chutney with samosa, pakora, tikki or any other indian snack. 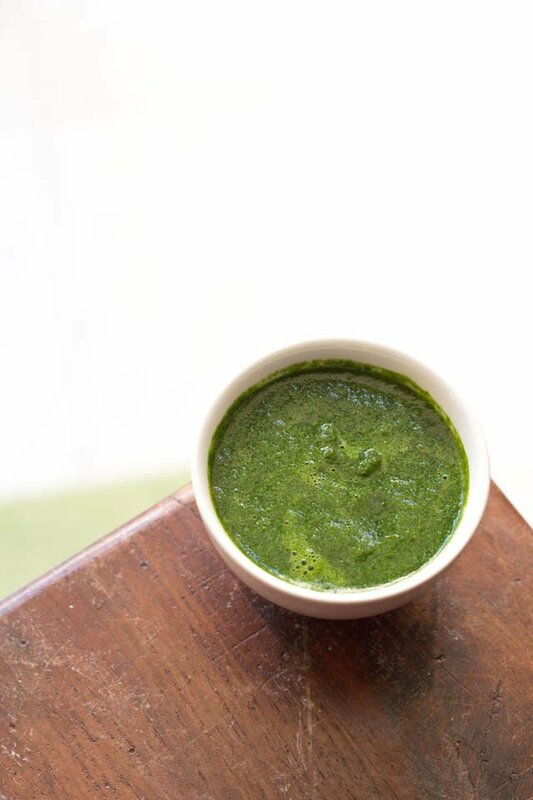 you can also apply this green chutney on veggie sandwiches and burgers. 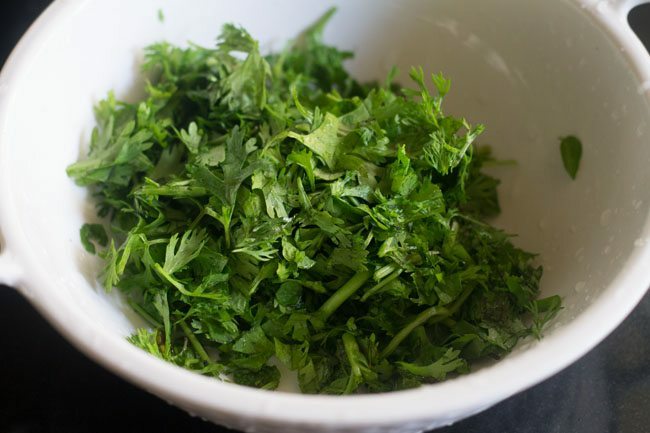 rinse the coriander leaves and the mint leaves well in water. chop the green chili and the garlic roughly. 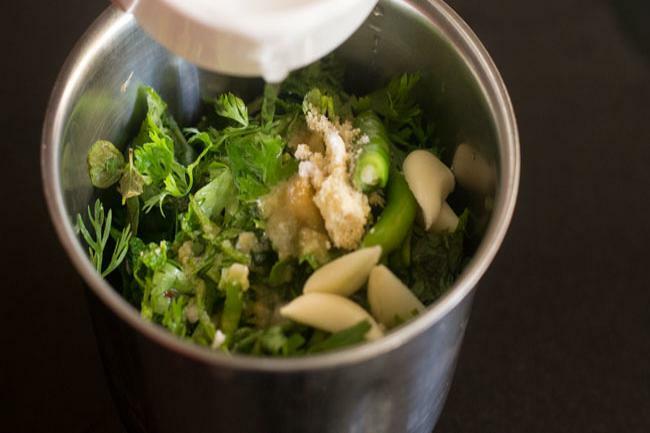 in a blender jar add, chopped coriander leaves, mint leaves, green chili, garlic, lemon juice, sugar and salt with ¼ cup water or as required. the quantity of water can be adjusted as per your liking. but don't make the chutney very thin. blend everything well till smooth. serve the green chutney with indian snacks like samosa, pakora, tikki or dabeli. you can also apply this green chutney on sandwiches and burgers. it stays well in the fridge for 4-5 days. 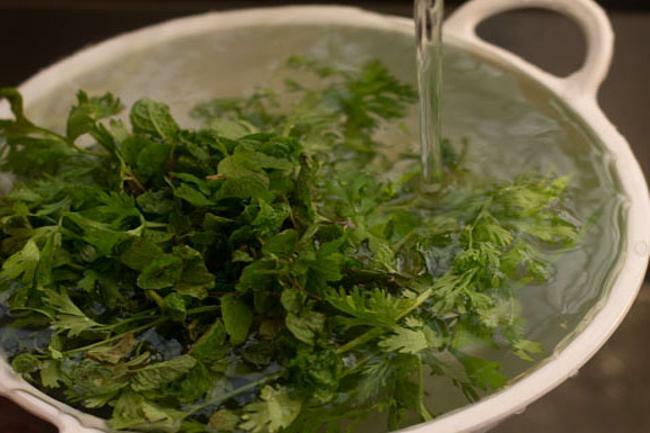 1. rinse ¾ cup coriander leaves (dhania patta) and ¼ cup mint leaves (pudina) well in water. 2. drain and chop them roughly. 3. chop 1 green chili (hari mirch) and 2 to 3 garlic cloves (lahsun). 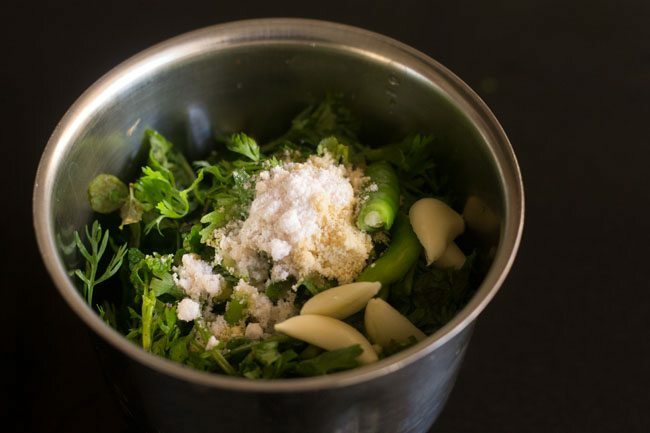 measure and keep all the ingredients ready for making sweet green chutney. 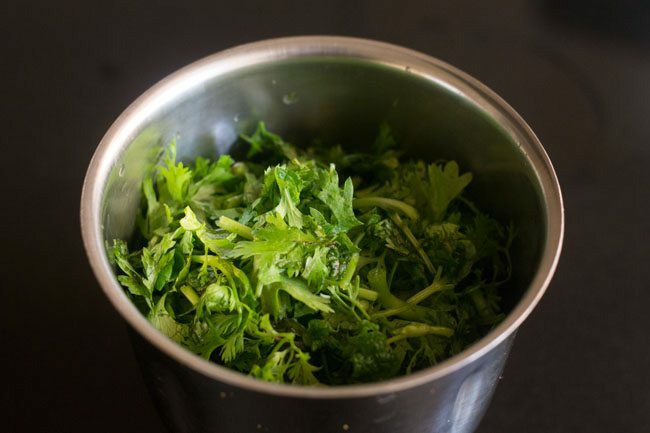 4. in a blender or a chutney grinder, add chopped coriander leaves and mint leaves. 5. next add 1 teaspoon sugar, chopped garlic and chopped green chili. 6. add ½ tablespoon lemon juice. 7. add regular salt or black salt as required. 8. lastly add water. i have used about ¼ cup of water. the quantity of water can be adjusted as per your liking. but don’t make the chutney very thin. 9. blend everything well till smooth. 10. remove the chutney in a serving bowl. serve the green chutney with indian snacks like samosa, pakora, tikki or dabeli. 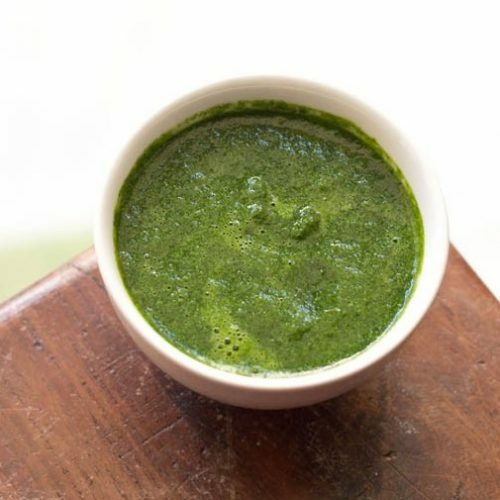 you can also apply this green chutney on sandwiches and burgers. it stays well in the fridge for 4-5 days. 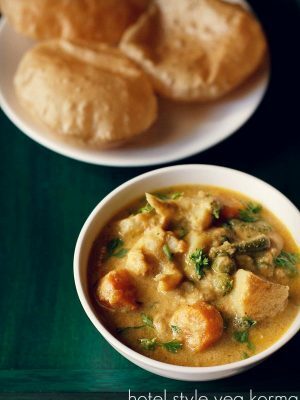 right and also tastes good with pakoras and kachoris. 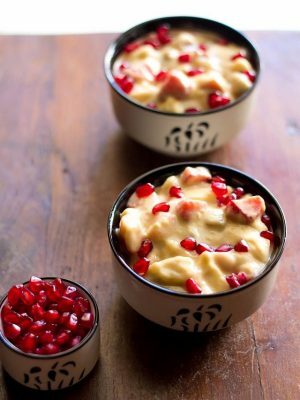 How much salt do you typically use for this recipe? i would suggest adding between 1/4 tsp to 1/2 tsp black salt. basically there should be a balance between the sugar and salt in this recipe. also black salt is not very salty as compared to iodized salt, so you can also add a bit more. can i have another recipe??? 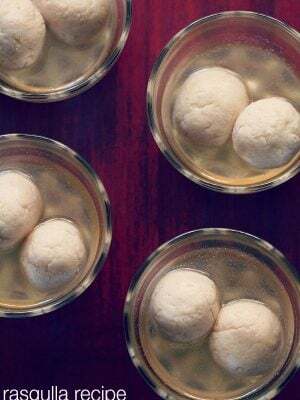 this method is simple and awesome,but mint leaf is a little difficult to get in our place. skip the mint leaves and in its place add more coriander. Never used Sugar in this Chutney, something new to learn.. 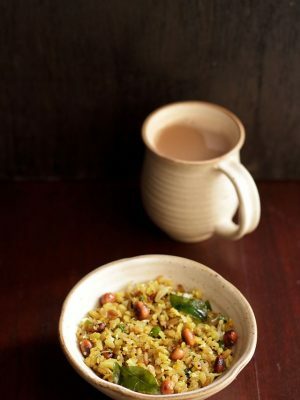 The sugar is to balance the hotness of green chillies and the tanginess of lemon. 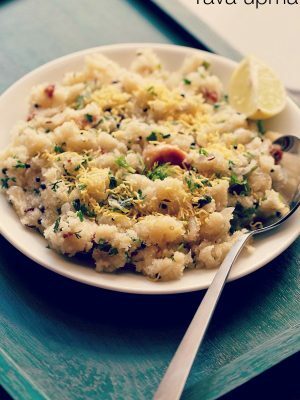 Alternatively you could replace with jaggery and tamarind and also fresh coconut to balance. thanks bijoy for your suggestions. jaggery will also do.